Due to a family emergency, Dr. Hughes will be out of town between Thursday, November 8th & noontime Tuesday, November 13th. Please contact us at 867-920-7387 while Dr. Hughes is away and we will do our best to assist you. Our Boutique will remain open during regular hours for purchases of food & pet supplies. Please be advised that both the Clinic and the Boutique will be closed on Friday April 19 and Monday April 22. Protect the health of your beloved pet with Dr. Michael Hughes DVM and the skilled staff at Yellowknife Veterinary Clinic. We provide 24-hour emergency care and a range of veterinarian services including medical, dental, surgical and preventative treatments. Yellowknife Veterinary Clinic will help you maintain proper health with nutritious pet food and essential pet supplies. Phone the clinic for 24 hour emergencies at 867-920-7387. We understand how important it is for you to keep your pets healthy and safe. At Yellowknife Veterinary Clinic’s Veterinary Boutique, you can rest assured knowing that we take care of your pet as if it were our own. 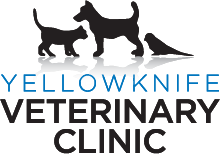 At the Yellowknife Veterinary Clinic, we offer top-quality care for your dog, cats and other pets. We recently staged a photoshoot for our practice and are happy to show off the following images. Yellowknife Veterinary Clinic is your source for complete medical, dental and surgical care for your beloved dogs, cats, birds, pocket pets and exotic animals. © 2019 Veterinarians in Yellowknife, NT | Yellowknife Veterinary Clinic.